Action for Children has 125 charity places up for grabs in oversubscribed ballot for Ride London 100 mile London-Cycle Challenge. Sian Lloyd is urging the thousands of cyclists who have been unsuccessful in gaining a ballot place (to be announced 7 February), to take up one of Action for Children’s 125 charity places for the 100 mile London-Surrey Cycle Challenge and cycle in aid of neglected and vulnerable children. The cycling challenge will follow in the tracks of last year’s Olympic athletes, along the 100 mile London – Surrey route. Thousands are likely to be on the look-out for charity places from 7 February. With over 600 projects throughout the UK, Action for Children is one of the leading children’s charities. It’s been supporting children, young people and their families for over 140 years, with a focus on helping vulnerable and neglected children… for as long as it takes. 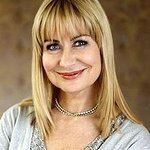 TV Presenter Sian Lloyd says "As an Action for Children Ambassador, I know what an amazing difference the charity’s work makes to the lives of vulnerable and neglected children. “Having taken part in long distance charity bike ride challenges, I understand how tough, but terrific, they are. Ride London gives cyclists the opportunity to take in both iconic London landmarks and the beautiful countryside of the Surrey hills. “Cycling is the best fun I’ve ever had on a charity challenge. Cycling in support of Action for Children provides cyclists with the opportunity to be part of the first Ride London and make a difference to the lives of vulnerable and neglected children – it’s something I urge anyone wanting to take part in Ride London to consider”. In return for helping raise funds to support vulnerable and neglected children, through Action for Children cyclists will receive one to one support and fundraising advice throughout including regular e-newsletters full of top tips and handy information, a very special Action for Children cycling t-shirt, two cheering points on the day, and a post-race meeting point. The 100 mile Challenge is part of Ride London; a brand new festival of cycling that will take place over the first weekend in August. It will feature a series of events for amateur, club and world elite cyclists. RideLondon-Surrey 100 will start from the Queen Elizabeth Olympic Park, making this the Park’s first cycling event since its transformation after the 2012 Games. The cycling challenge will cover a modified version of the 100 mile Olympic Road Race course through central London via Richmond Park out to the Surrey Hills. Action for Children Area Fundraiser for London Jenny Fraser said “We look forward to hearing from cyclists who might want to cycle in aid of vulnerable and neglected children in London and throughout the UK. We only have 125 places, so please sign up soon”. “To book your place or find out more, click here].